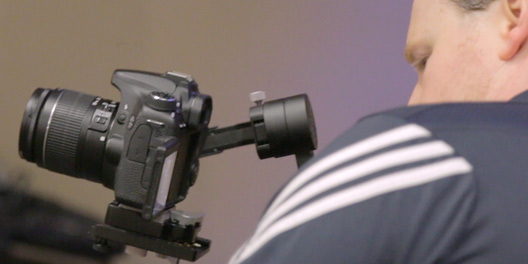 Whether you’re just thinking about incorporating video into your overall marketing strategy, or if you’re ready to take that next step, there are a load of videographers, video production companies, and marketing agencies from which to choose in the Scottsdale / Phoenix Metro area—so why consider me? My marketing videos are effective. They drive in new business and revenue. Working with me will make you money—not cost you. I’ll make sure on camera that you look, sound, and feel like an accomplished, amicable, and trustworthy professional. I’ll offer ideas, great energy, and inspiration throughout the video project. I am easy and fun to work with—especially for people who are apprehensive about doing an online promotional video. I am an engaging and reassuring video interviewer. I am priced super competitively compared to other skilled videographers and video production companies, but I am not cheap. I offer a rock-solid guarantee of satisfaction. Sound like someone you could see yourself working with? Keep reading! 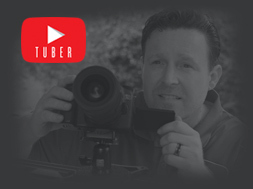 Hi, this is Jeremy Tuber, PCM film marketer in Scottsdale, Arizona. I know how leverage online video to drive in business, and that’s the number one reason why clients hire me. With over 20 years as a marketing professional, and as a Professional Certified Marketer (PCM), I know exactly how to bring in customers and revenue. 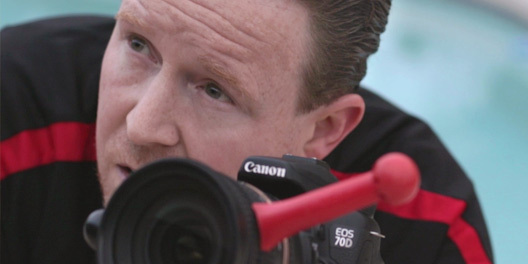 I film promotional marketing videos for Arizona (mostly in Scottsdale, Chandler, Mesa, the East Valley and of course, Phoenix) small businesses, dentists, medical professional, artisans, and sports teams/athletes who are passionate about what they do—and they are darn good at. Clients have often called me a walking creative marketing agency because I can not only provide online video marketing, but branding, photography, marketing content, and graphic design. The truth is, if the person you hire to film your video costs more money than they make you (bringing in new customers and revenue) you hired the wrong person/company. If the reason you’re having a video created is to bring in more revenue and to get to that next level of success, you’ve found the right person. I am a great fit for small businesses, dental and medical practices, creative artisans (even sports programs) who are actively looking for ways to bring in more business—looking to get to that “next level.” I don’t work with trained actors and “movie people.” I help professionals who are passionate about their craft, and darn good at it. They don’t want to be the best-kept secret on the internet—what they do for a living is way too important to be ignored or invisible on YouTube and on the web. If that describes you and the situation you’re in, we should probably talk. What if you’ve lost confidence or don’t want to work with their videographers anymore? That guarantee isn’t worth much, is it? I can and will do better than that—I guarantee that you’ll not only love the video I create for you, but that you’ll love the personal service, the ideas I offer, and you’re going to enjoy the experience of working with me. Yep. Really. Look, I know if you’re not a trained actor, so videos can be stressful and they kind of put you into a venerable position. I get it, but I make the process easy, relaxed, and enjoyable. My focus is making sure you look, feel, and sound like the pro you are, and I am going to work hard to make sure you have fun. You’re going to be surprised how easy I make things, even if you’ve never been in front of a camera before! Videos, effective, compelling videos, take time to plan and execute, so I’ll need your help in making your video a success. That said, I do all of the heavy lifting and I guarantee that you will love working with me or I’ll refund all of your money. Look around, see if any other film makers or corporate video companies offer that strong of a guarantee. If they don’t, should you consider hiring them? While you’re here, why not peruse the site, check out some of the work I’ve done and what clients have said about working with me? If you’re feeling I might be a good fit for what you’re looking to do, head over to the contact me page and drop me a line. I’d love to hear from you—let’s talk. Video is the future, and I want in. I am ready to have a video filmed—just need to make sure I hire the right person. Help me see if you’re a good fit for me. Okay, video has got my attention. I need more info. Video sounds intriguing, but I am not sure it’s the right time or that it’s a fit for me. Help me understand how video can help me. I am honestly just here to peruse. I’m just browsing, checking out some videos, and/or spying for the Russians. Let me peruse at my leisure. Jeremy Tuber worked with my plastic surgery practice to produce a series of professional videos for our website, both in the office and in the operating room. He did a very professional job, and the resulting videos are outstanding. However, it is not just the quality of his work, but the care he takes in working with my patients, my staff, and I, that is so very impressive as well. And he is a genuinely nice person. He is a pleasure to work with, and I look forward to doing more projects with him. Jeremy is a fantastic film maker. I have done over 20 videos with him so far and plan to use him for all my film making needs. From testimonials to commercials, this guy is the king! Jeremy is very professional, thorough, and personable in working with our group of adults and kids of all ages. He insisted on doing prep-work and strategy-building before shooting video and in the end I could see that it allowed him to format and take the footage needed to create the most awesome promo video we've ever seen. Jeremy was creative in his camera work and the video as a whole came out professionally and with good interest to the viewers. Jeremy is pleasure to work with and makes the whole process a breeze. He prepares you prior to your video shoot with questions he will ask and suggestions to make the day easier. He has a great eye, the video itself is cinematically beautiful. He is also a great story-teller, he brought the "WHY" of our office to life with our video. I highly recommend him for any video marketing you are looking for. Thank you Jeremy! Jeremy did an excellent job for us amidst challenging circumstances. He made a promo video for my martial arts school working with 30 of my students simultaneously. He was very professional, a pleasure to work with, and the final product was fantastic. Jeremy was AWESOME to work with - very professional yet fun at the same time. He took a lot of time to get everything we needed to make a very professional video. He lays out all of the questions and covers everything you could think of to personalize your video. I highly recommend Jeremy for any and all of your video needs. You will love working with him! I have enlisted Jeremy's expertise on more than one occasion and would jump at the chance to work with him again if the opportunity presented itself. He is experienced, creative, ethical and brings an attitude which lets you know you are in great hands. You can not go wrong with Mr Tuber. Jeremy made a video for my table tennis club, and did an amazing job. I've had the video as the first thing people see on my website, and I feel it has helped my business a ton. Jeremy was very professional and paid great attention to detail. I would recommend Jeremy to anyone who wants a great video made! A few years ago we were referred to Jeremy Tuber when we were searching for someone to put together patient testimonials and meet-the-staff videos for our dental practice. We could not be happier to be working with him. Jeremy helped us organize ourselves before the big day so that it would run smoothly. We brain stormed on what activities to shoot, backgrounds, questions to ask the “actors”, etc. Having patients and staff running around would have been chaotic and stressful if we were not so well prepared. The day of the video shoot he arrived early (as he has always done on the subsequent visits) and was ready to go. He worked with the “actors” when filming to put them at ease. While it seems really easy to be interviewed and talk about your job and things that you love, it really isn’t. He coached everyone in a way that worked for them so that they could comfortable say what they wanted to say. Everyone that he has filed has always been happy with their performance afterwards. He is easy to deal with during the video shoots when mulling over ideas. Not pushy but not passive as well. Helps us create the vision that we are looking for. Jeremy takes lots of different views and angles to produce the ever important “B-roll” content. These are needed when in production to help get the right feeling and message for the video. The production time is very fast. We always have a chance to make changes to the video at the time of initial production. Even years later when there have been staff changes, Jeremy is able to go back and edit people in and out of the videos. Staff changes are an unfortunate reality and not having to scrap a video is really nice! We have had Jeremy out many times as we expand our library of content. We have referred our closest business associates and even some patients to Jeremy. They are always very happy. He is always a pleasure to work with and we HIGHLY recommend him. If you are looking for professionalism and a finished product you will be excited and proud of, your search is over! I am a guy who is camera shy and didn't really know what I wanted. Jeremy asked the right questions and helped guide me through the entire process. His equipment is state of the art, but the artist is Jeremy himself. You simply can not do better! Thank you Jeremy for your hard work!! Jeremy did two videos for our business. It was amazing how professional and wonderful the videos were after he worked his magic. Was able to do testimonials on patients who were uncomfortable in the spotlight and yet turned them into stars on the video. He managed to take an hour or so of recording and put it into a highly usable format for our office to add to our web presence. Why hire me to film your video? 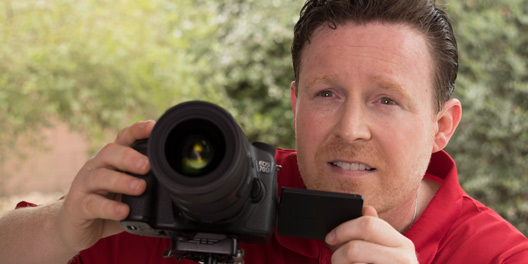 My videos drive in new business and bring in new customers, and you’ll love working with me. or you don’t pay. My degree is in marketing and I’ve lived and breathed marketing for twenty years, so if your video has to bring in more money than it costs, I am your guy. Video is for people who love, live. and breathe what they do-people with a story and a passion to share. People who wont be ignored online. If that describes you. your business, or your practice, we should talk.